Preheat oven to 375 degrees. Grease a 9-inch loaf pan. Mash together bananas, eggs, milk and oil. Combine dry ingredients and slowly add to wet mix. Do not overmix. Pour batter into prepared pan. Bake at 375 degrees one hour. 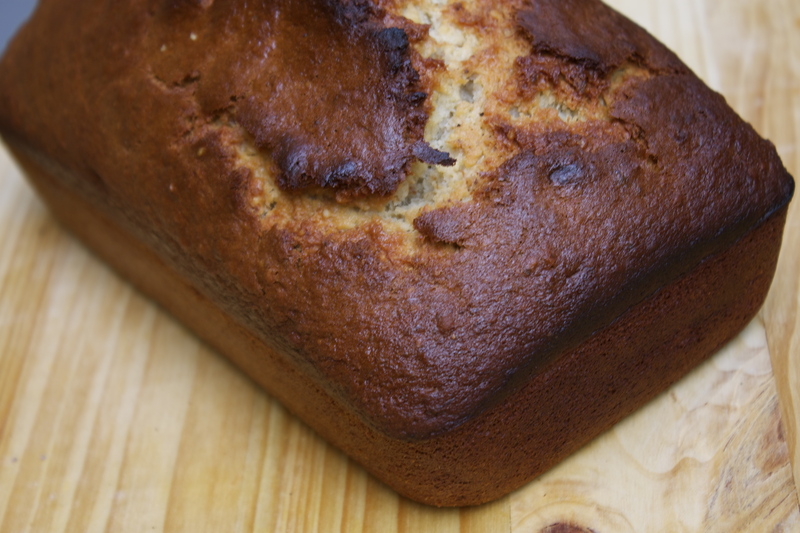 This entry was posted in Recipes and tagged Banana Bread, bananas by ttimmons. Bookmark the permalink.